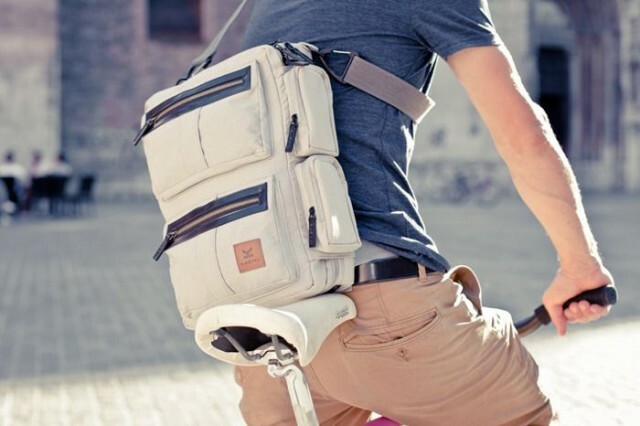 You know how it is; as a brimming young tech-savvy hipster, you need to carry a lot of gear with you as you cycle from the coffee house to the park bench, writing your magnum opus and staying in touch with your iPad, Macbook Air, and iPhone. The thing is, that gear usually comes with a ton of support gear, with all sorts of plugs, wires, battery packs, extra mice, point-and-shoot camera and the like. You’ll be awash with the detritus of your modern monadic life in no time without some sort of organizational system that you can strap to your back while on the go. Kastel thinks it has the answer with a Kickstarter project to fund a new line of functional, good looking bags for your gear, soon to be available in three savvy material choices, including leather and blue and grey linen. The Donjon line of bags have as many nooks and crannies and tech pockets as you can imagine, with room for paper (gasp), extra cords, and all the mini peripherals you can stand. 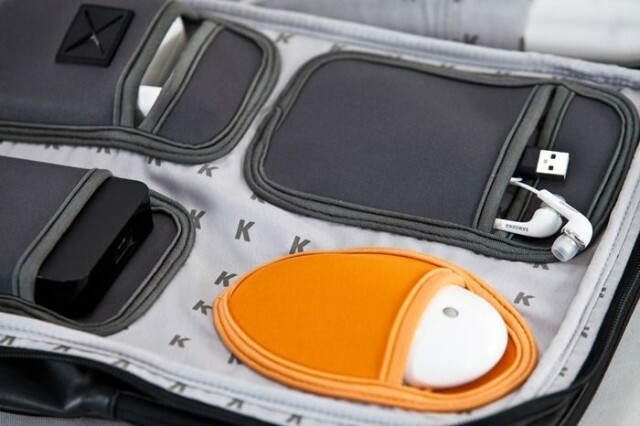 They come in two sizes to accomodate your 13- or 15-inch Macbook, and feature a built in rain cover as well as inner chord routing holes so you can charge your stuff on the go. 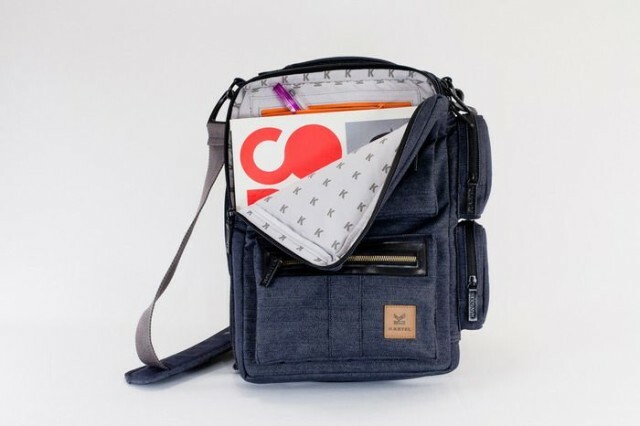 The bags strap to your back low and tight, making it an ideal alternative to the messenger bags you may be using already. There are handles for carrying on two sides, so you can carry the thing in either portrait or landscape orientation, in addition to a nice traditional shoulder strap for standing in the line for the subway or train. The Kickstarter project has around 20 days to go, and they’re looking for £20,000 in funding to get this line–which also includes similarly-clad laptop sleeves–off the ground and into stores. As an early backer, you can pledge £45 (about $75 USD) and get yourself a Donjon bag if the project is funded. If these technical bas intrigue you, head on over to the Kickstarter page and give the team a bit of cash to help them reach their goals.